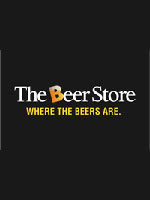 All locations of The Beer Store will CLOSED on MONDAY, OCTOBER 14th, 2013 to observe Thanksgiving Day. Stores will be open regular hours on the Sunday and Tuesday. Please note that many of the Ontario Craft Brewery retail shops will be open for your Monday beer purchases. Please enjoy some delicious local Ontario beer.